Three-light chandelier from Gather possesses a smart simplicity to complement today's home. Brushed Nickel metal arms descend downwards and curve sharply to prop white etc.hed glass shades. Etched glass add distinction and provide pleasing illumination to your room. Coordinating fixtures from this collection let you decorate an entire home with confidence and style. 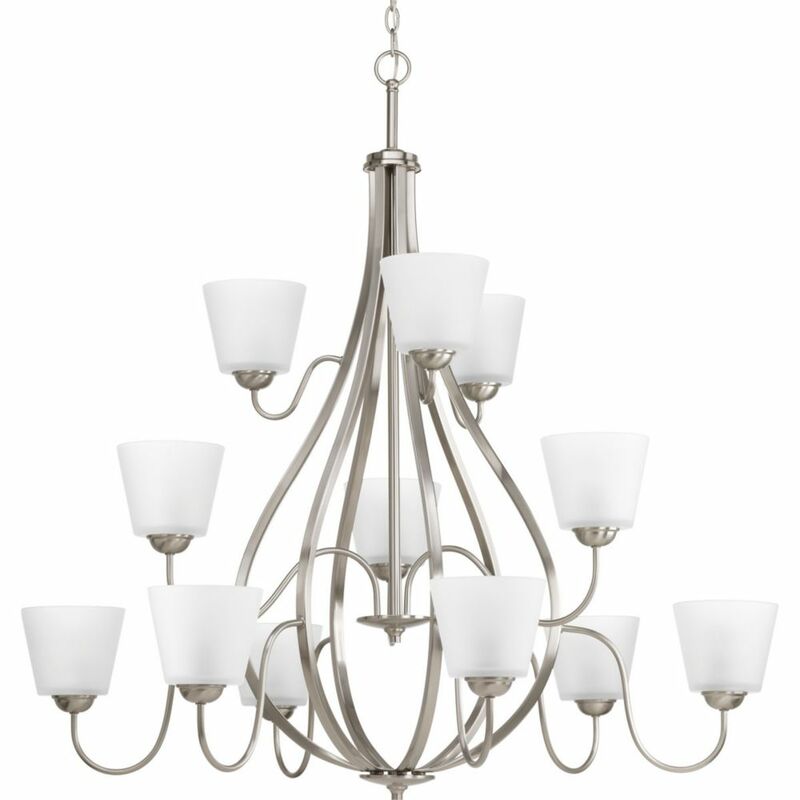 Arden Collection 12-light Brushed Nickel Chandelier is rated 5.0 out of 5 by 1. Rated 5 out of 5 by Edgar from Good product. A little difficult to handle with one person,... Good product. A little difficult to handle with one person, but it looks great, once I got it installed.